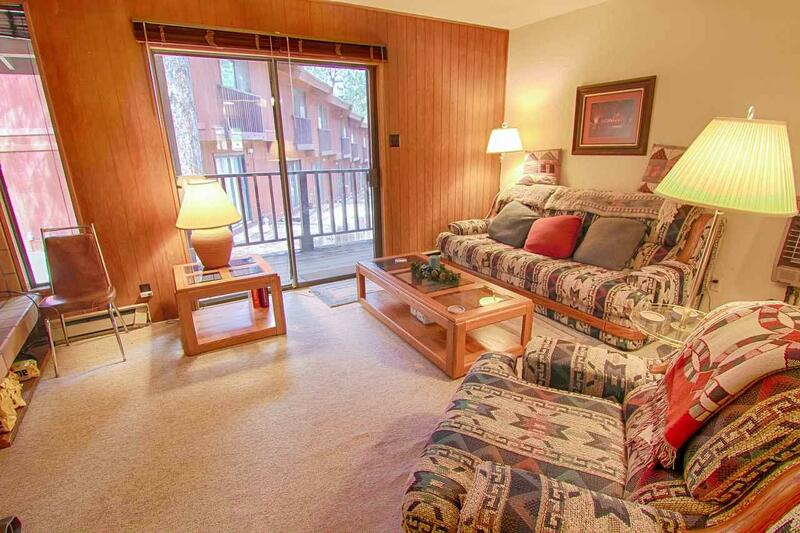 Convenience is key when you want to enjoy all that Angel Fire has to offer and this condo is in the heart of the action! Located less than a block from Angel Fire Resort, you can leave your car behind as the ski mountain, bike park, hiking trails, restaurants and shops are all next door! Inside French Henry A5 you'll find a two story condo with an open floor plan that contains the kitchen, a dining area and a living area with a retro wood burning fireplace. 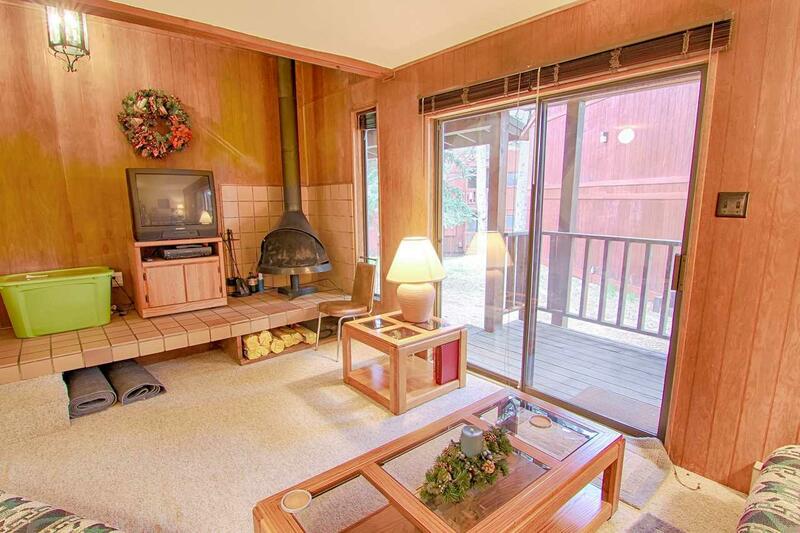 The half bath is on the first floor as well. The second floor features two bedroom suites with the master bedroom boasting a private patio and an ensuite bath with bathtub. 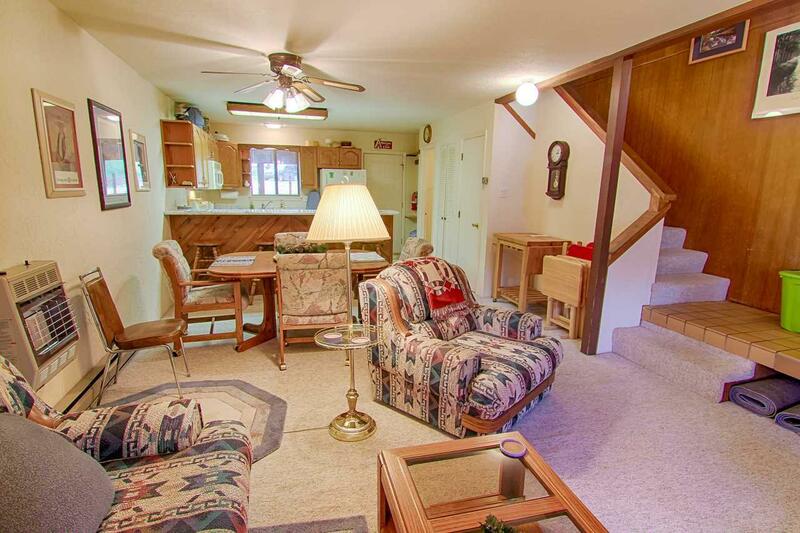 The second bedroom has an ensuite three-quarter bath. 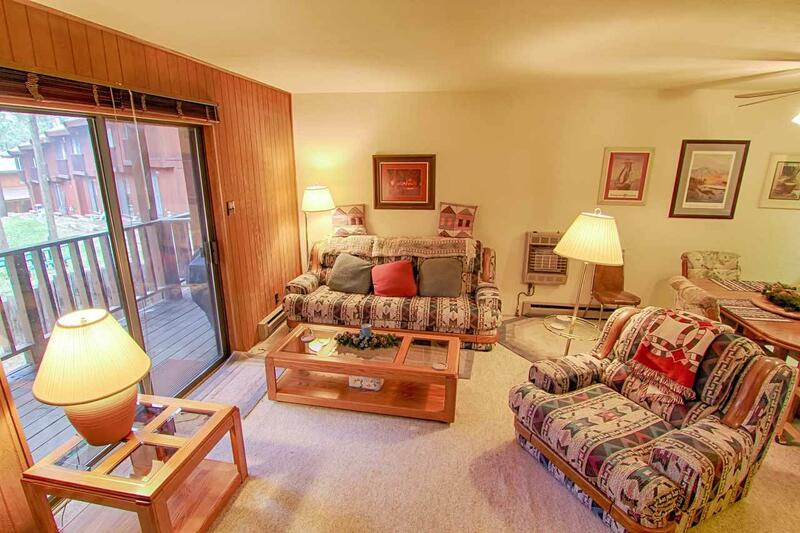 Bring your skis and toothbrush as this condo is fully furnished and ready to enjoy!